Linkline Express Services Ltd is a family owned business. Operating out of Birmingham for over 20 years. We have a rich and hard earned reputation in the transport industry for offering a friendly and reliable service to our customers. 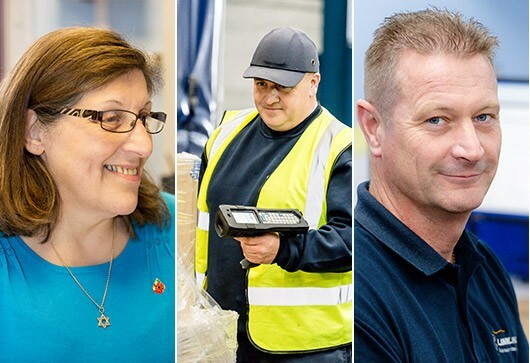 We realise that our employees are crucial to the success of Linkline Express Services Ltd and are always looking to add new employees to the team, who share our values of hard work, commitment and an honest approach to their work. If you feel you have these fundamental professional qualities – then we’d like to hear from you. Operating from the West Midlands, but delivering to all areas of the UK, our Class 1 drivers are crucial to the daily operational success that Linkline Express Services offers our customers. Applicants should be flexible in nature, hardworking and professional. Both multi-drop and trunking positions are available – however on occasions driving duties are alternated to fit the requirements of the business. Operating in the Birmingham area, but occasional deliveries to other UK postcodes, our Class 2 drivers are crucial to the daily operational success that Linkline Express Services offers our customers. Our Multi-drop drivers should be familiar with and able to operate a tail lift vehicle.